What makes a golf ball more suitable for beginners than for experts? There are a few factors that go into it, and we’ll cover those in this article as well as show you some of the best golf balls for beginners you can get. Now that you understand what to look for in beginner golf balls, it’s time to look at some of the best options available to you. Even if one of these doesn’t end up being what you want to get, you will have a better idea of what kind of balls you should be shopping for. These may have “pro” in the title, but that’s simply the product line name and not the skill level for these balls. They have superb trajectory and spin control, making them easy to use and easy to hit far without you having to put in a lot of effort. You don’t have to be very good at the game to get some great results with these balls, which is what makes them ideal for players just starting out. The one drawback to these is the price, though, and they are high quality balls, so you’ll have to determine if your budget can handle that. These are much cheaper balls, but they are still of decent quality. 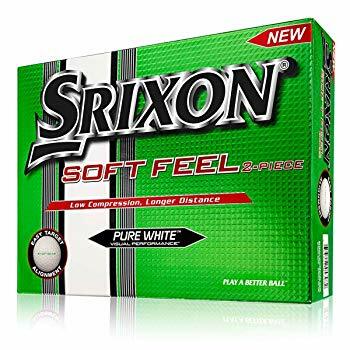 Srixon gave these a softer feel than your average balls, which allows you to get some decent control over them and make them less likely to slip or slice as you hit them. 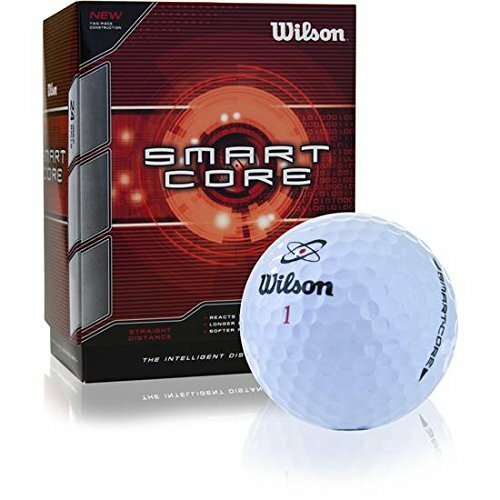 They are also great for hitting long distances, and you’ll find few other balls that can go as far. If you have some trouble putting strength behind your swings, then this is the ball for you. Gives you a ton of distance. Not as durable as most other options. You might not recognize this brand as easily as some of the other ones, but they do make quality golf products. 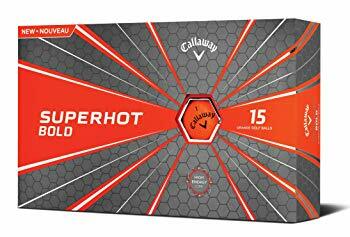 Superhot balls are affordably priced and perform decently. You may find they lack the control of other higher performance balls, and professional players probably won’t like how they play, but for beginners these are excellent. The spin is suitable for the beginner level and the distance is remarkable. Lack of control in some aspects. Here is another affordable option. 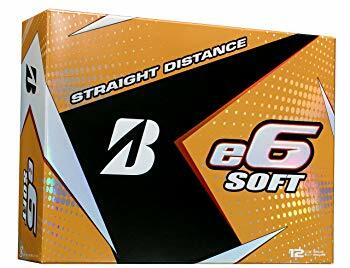 These are from one of the biggest brands in golfing equipment, and they are decent balls with minimal speed and great reaction time. The balls are actually designed to react to the way you swing your club and give you the best performance regardless of your play style and swing speed. It’s also designed to keep on playing well despite adverse weather conditions, which makes it an all around great ball to play with. Works with your swing style. Not designed for short distance games. These Bridgestone balls are a bit more expensive than some of the other ones on this list, but that’s because they perform better. You might not consider them disposable at their current price range, but they also won’t cost you an arm and a leg every time you lose one. These are accurate, long-driving balls that keep the spin to a minimum and give you some decent durability and value for what you pay for them. Offers excellent distance and control. Slightly more expensive than most beginner balls. Not ideal for short distance games. Having the right kind of ball is going to affect the way you play. You may even be affected psychologically by having one kind of ball over another. If you have a pro ball, you may feel like more of a pro, but let’s focus on the physical and tangible differences having a beginner ball will make to your game. The biggest difference between pro balls and beginner balls when it comes to golf is the cost. The pro balls cost more because they are made out of better, more expensive materials. That’s where the higher cost comes from, in most cases, and not from the fact that the balls perform better. There will be some performance differences between pro and beginner balls, but you honestly won’t notice much of that when you are playing. With beginner golf balls, you’re should be looking to buy a cheaper ball that still performs well, and that can be a tricky thing to do. Some of the cheaper balls have awful performance, which is why it is so important to be smart about the balls you purchase. This guide will show you how to do that and what to look for in beginner golf balls. Then you should be able to find the best one for you. Price– Let’s face it- You are going to lose a lot of golf balls when you first start out. These can get kind of expensive if you are going for the premium grade balls, and you should opt for cheaper, more disposable balls when you are new to the game. That means you won’t have to spend as much time chasing after them and trying to find those balls you hit way off the mark, since you can probably afford to just let them go. 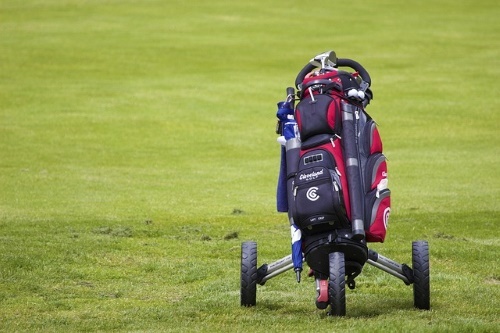 Golf.com advises against spending too much time scouring the green for your ball. You’ll ruin your enjoyment of the game if you care that much about every ball that goes awry. Layers– Beginners should be using balls that travel far and are easy to play with. According to Get-in-the-Hole.com, that would be two-layer balls. These go great distances without a lot of effort on your part. Of course, you’ll have to experiment and see what works best for you and your play style, but in most cases, the two-layer ball is perfect for newer players. It lets them see some great results even when they struggle with accuracy and have trouble pulling off a decent swing. Ultimately, that’s what is going to keep you playing long enough to get better at the game. Spin– You want to factor in the spin of the ball when you hit it. How much it spins will determine how far it goes and how easy it is to control, and that’s not something most beginners know much about. 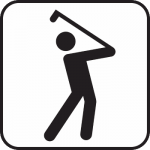 According to Golf Info Guide, the slower spinning balls are generally preferred by beginners, while professionals will use faster spinning ones. You’ll probably want to start with slowly spinning ones and work out your own preferences later with some trial and error. Stability– If you play in adverse weather conditions such as high winds, then you also need to consider how your ball will function in that kind of environment. The stability of the ball tells you how well it will keep on a straight course when being blown about or hit with bad weather. 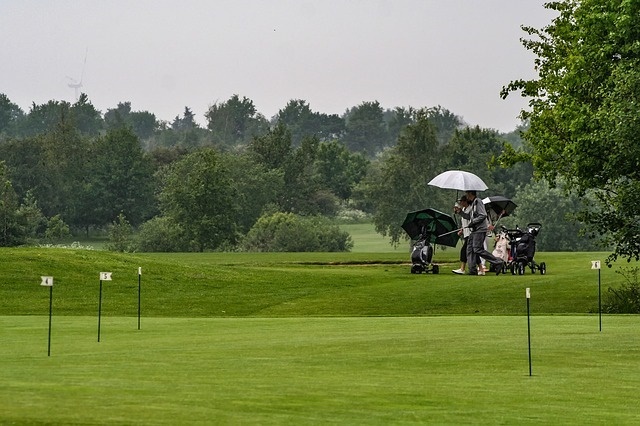 Pay attention to this often overlooked factor to ensure that you have a more pleasant golfing experience even in bad weather. Not Reading Reviews– Customer reviews are your best friend when you are trying to buy a product you are not very familiar with. As a beginner, you will not know what to expect from the various golf products, and the worst thing you can do is ignore the advice and experience of others who have used the products and played the game before you. 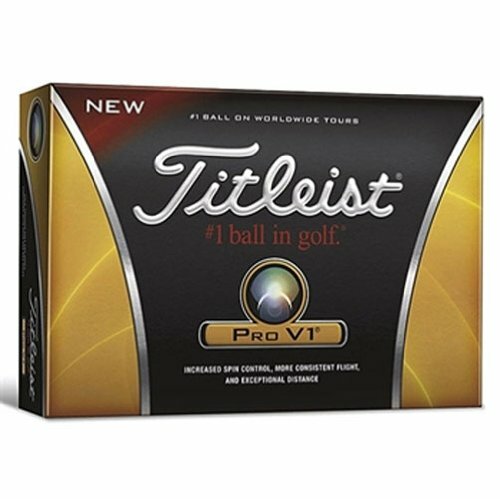 Read the reviews and get a better idea of what the various golf balls offer before you make your decision. Buying Too Cheap– We covered this briefly earlier, but we want to emphasize how important it is to not just buy the cheapest golf balls. You will get awful performance out of these and regret paying the little bit of money that you did for them. It’s better to go with a name brand that sells cheap beginner balls than to use a no-name brand that can’t even make good balls for professionals. Ignoring Lift– The lift of the ball is important in that it determines how high and how far the ball will go. Factors like lift, stability and spin all play key roles in how the ball flies through the air, and if you pay attention to the other two but ignore the lift aspect, then you will end up with balls that arc too high or that don’t go high enough. The lift is the distance the ball goes off the ground when you hit it, and that is important in determining if a ball is right for your play style and hitting strength. Buying Pro Balls– It’s tempting to just jump right in to the professional grade equipment and think that you will get good enough fast enough to warrant buying pro. Unfortunately, only a small fraction of golfers play at a professional level. You will be putting yourself in too deep if you try to go for professional level balls and other equipment, so be realistic about your skill level and where you are with the game. If you do that, you’ll buy balls that are more appropriate for you and you’ll have a better time with the game. You’ll also give yourself the chance to improve rather than drown by going in too deep too fast. Do you feel more prepared to buy the best golf balls for beginners now? We certainly hope so, and even if one of the choices we showed you isn’t what you are looking for, you should have a better understanding of what it is you should look for in a golf ball, if you are at the beginner level of play.